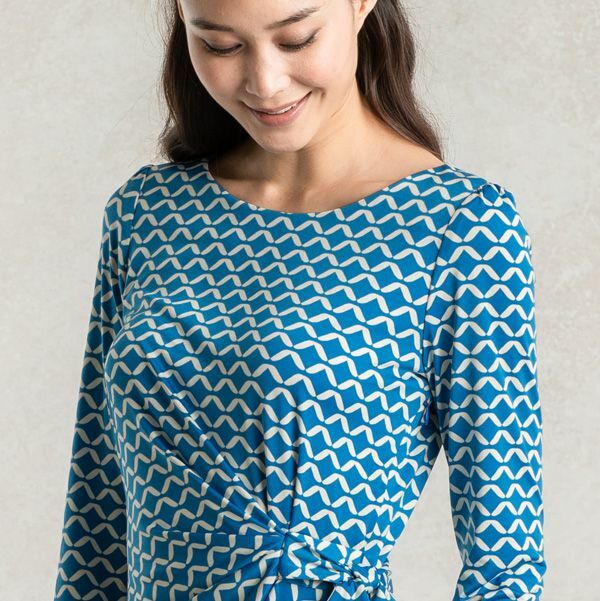 Our washable jersey daily dress is certainly a “dress you can wear everyday”! 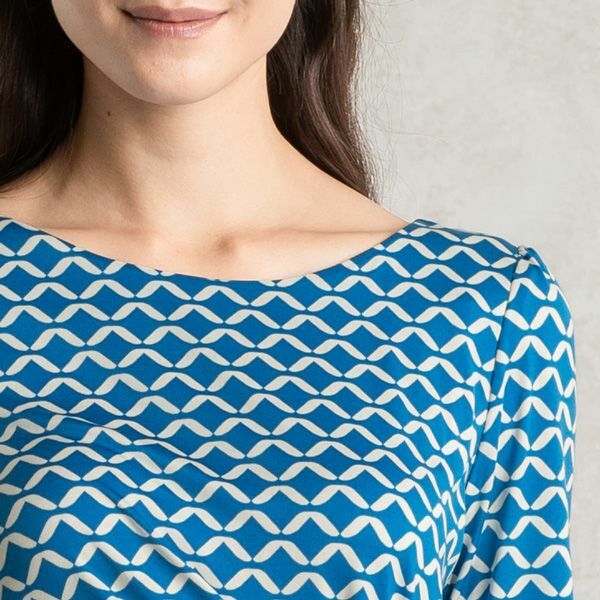 The boat neckline gives a soft and gentle silhouette, and the “V” printed design wishes for the wearer’s victory. For those days you want to add a little color. 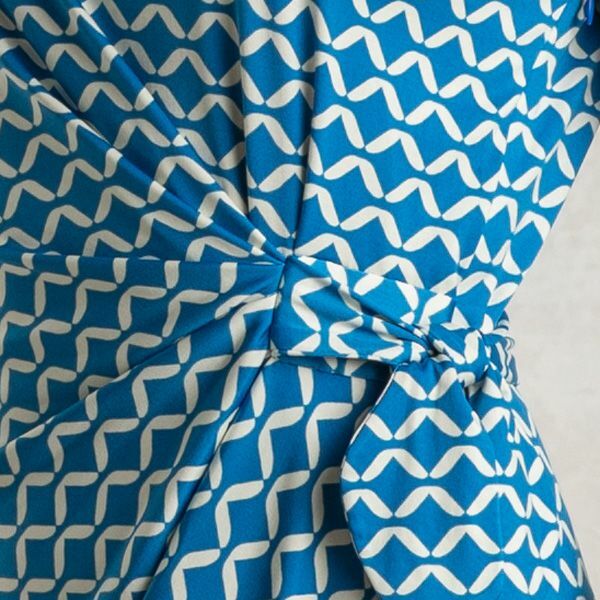 A beautifully rich blue colored dress, and the subtle V (victory) print cheers the wearer on. 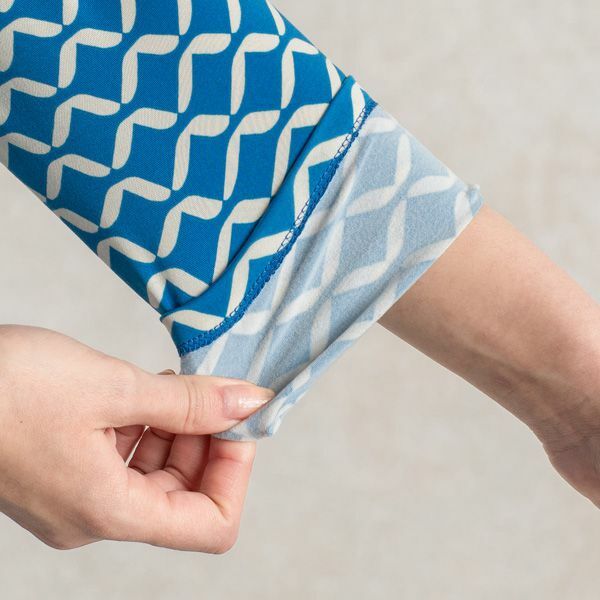 The draping that connects to the ribbon details on the side creates a body line with dimension. The neckline adds a touch of gentle kindness to your look and beautifully displays your décolleté. The complex cinching and tucking details utilize jersey material and elastic thread, handmade by expert Japanese craftsmanship. Pairs amazingly with white, black, and grey. Dress down with a denim riders jacket.